In this day and age of everything being done online, you would think that the most successful businesses thrive on their big chunk of space on the internet. That they only invest on online marketing. No. Not everyone is computer-savvy. Take away the senior citizens, those who are just plainly not interested from the equation and you would have prospects that you won't be able to reach through the net. Just because there are so many online platforms to promote your business these days doesn't mean that the traditional way of marketing have zero benefits. Just because something appears to be outdated to millenials doesn't necessarily mean obsolete to others. I always used to say, marketing your brand entails tailorfitting somehow. 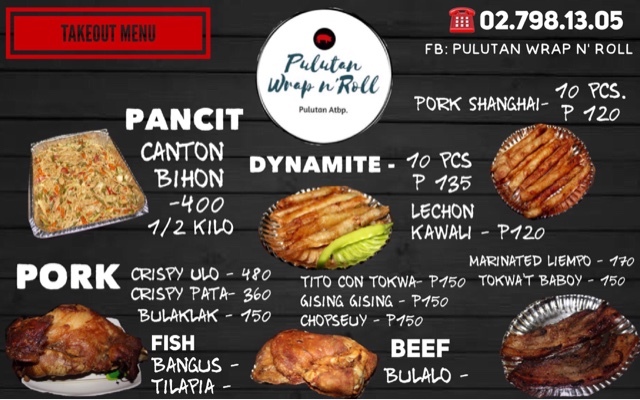 I recently opened a food delivery business that caters only to our immediate surroundings/community. This means that creating a Facebook page is not top priority for me. Yes I did create one but I don't spend so much time on it. 1. 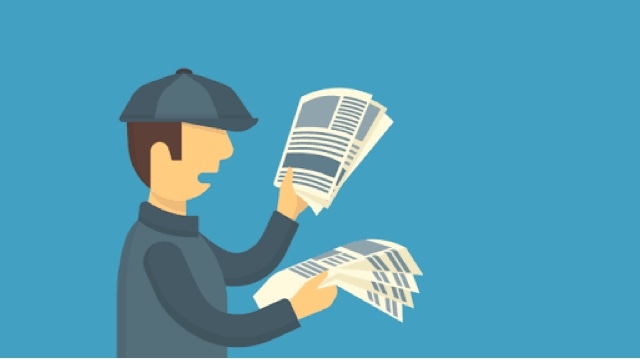 There are clients who prefer to read - yes, our customers still asks for flyers. They don't spend so much time reading on the net, they want a physical piece of paper that they can touch or put up on the refrigirator when they need to order something. 2. People still spend more time on the road - that's why a tarpaulin, a poster or a banner of your brand still can leave a lasting impression on your prospective customer's mind. 3. Pocket Friendly - most of the time, flyers, business cards and the likes are printed in hundreds of copies at a low cost. 4. Human Interaction - I still prefer a friendly yet professional exchange of business cards over a simple, emotionless gesture any day. Hey, as a business, you want to build a relationship, what better way to do that than an actual conversation with your prospect? 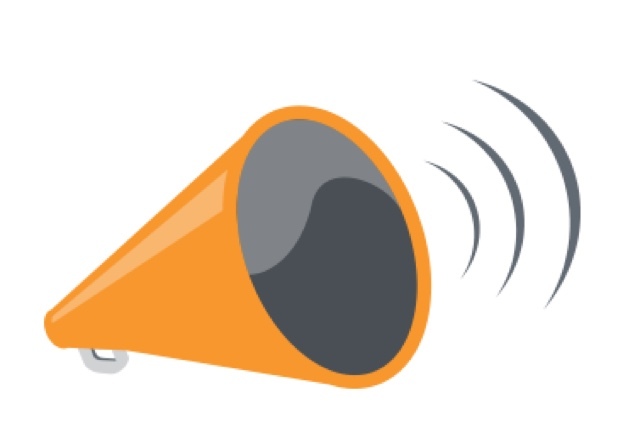 media platforms to promote your business, win-win! When it comes to traditional marketing, it is still important to be able to catch your prospect's attention through eye-catching brochures, flyers, business cards etc. 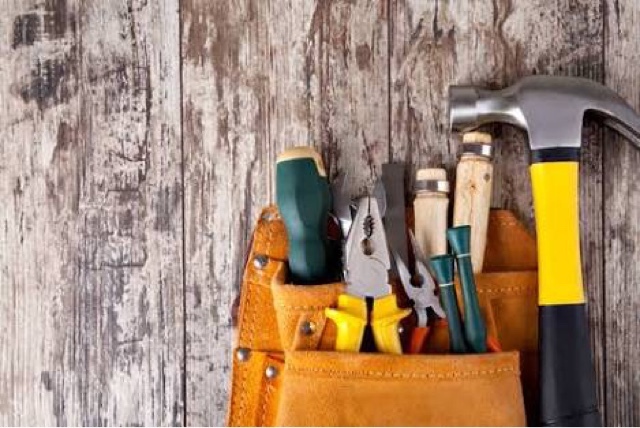 That is why, you need to get a an affordable supplier who not only creates tools and products that are pleasing to the eyes but effective as well. 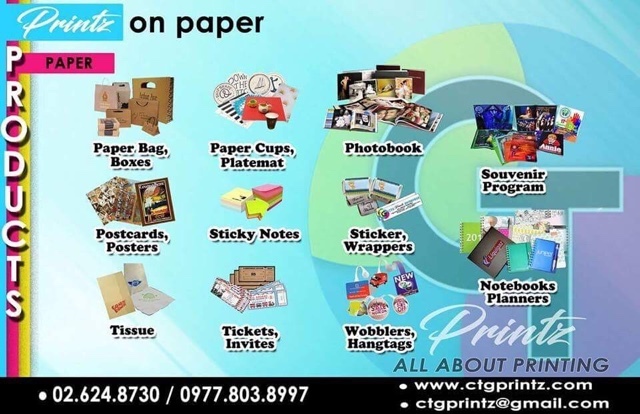 CTG Printz Enterprise provides services from concept design up to printing. 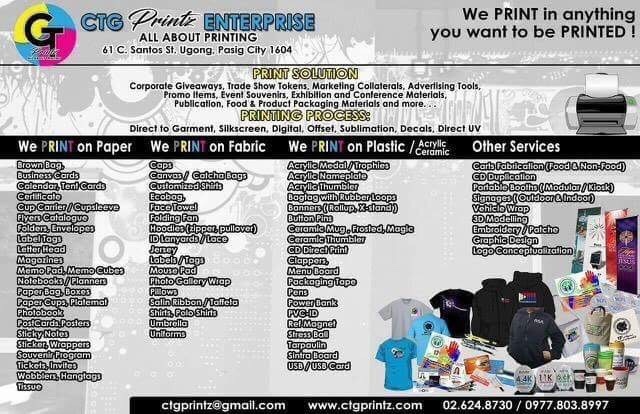 They offer various printing services that is surely going to be a useful tool in marketing your brand. They have clients who are well-known companies under their belt. 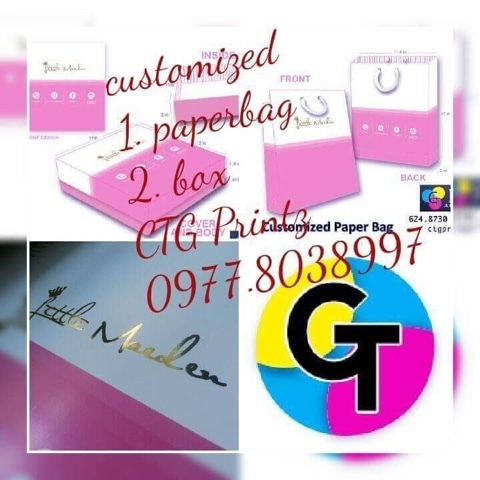 They are a supplier for promotional items in Metro Manila and nearby provinces. They also offer digital, offset, silkscreen and photo lab printing. 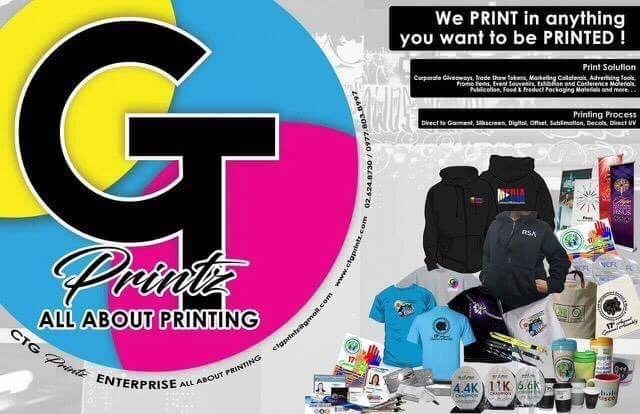 For all your marketing needs visit CTG Printz Enterprise Facebook Page for an estimate. So always keep in mind my dear readers - Traditional doesn't mean obsolete with CTG Printz Enterprise.